The Pullman Adopt-A-Stream Program officially began in 2011 as a collaborative project between PCEI, the City of Pullman and private landowners. The goal of the program is to engage community members, students and businesses in the maintenance and beautification of our local natural resources. Paradise Creek, South Fork Palouse River, Dry Fork Creek and Missouri Flat Creek flow through the City of Pullman and have been divided into “adoptable” stream segments. Individuals, families, community groups, student organizations and local businesses can adopt a stream segment to maintain. You are committing to clean up your segment 3 times annually. Additional cleanup activities are supported and encouraged. Once a group has signed up to become a steward, a sign is installed at a prominent location along the segment, advertising participation to the Pullman community. For those locations along the river where signs are not feasible, an alternate method of recognition will be used. Stewards are required to review and agree to the rules of the Adopt-A-Stream Program. Also, since many of the segments are located on private lands, stewards are required to respect posted signage. 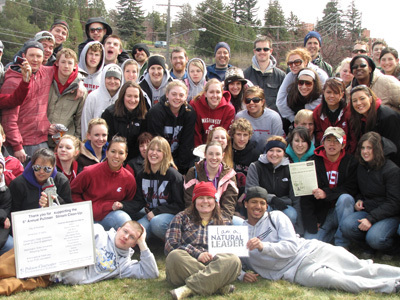 How do you become a Pullman Stream Steward?